- Large zippered door for easy to set up and storage. - Two-double vents for regulating the flow of air more effective. - Rectangle vents with mesh for better ventilation. LAGarden™ 2'7" x 2'7" x 5'3"(Approx. 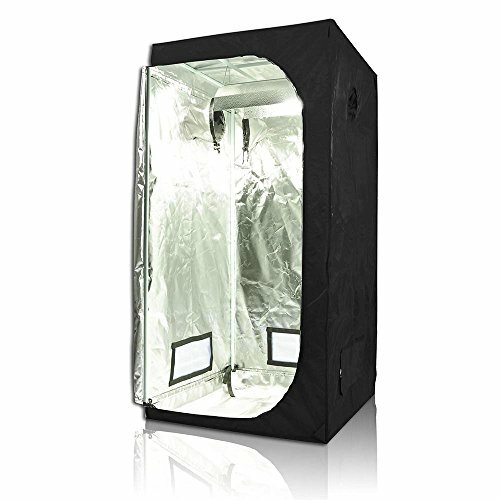 32" x 32" x 63") Upgraded Grow Tent with Improved Reflective Interior Diamond Mylar. All metal construction, 210D oxford cloth with exterior zippers design ensure safety use and essay set up. Multiple vents to accommodate fans and filter. If you have any questions about this product by LAGarden, contact us by completing and submitting the form below. If you are looking for a specif part number, please include it with your message.